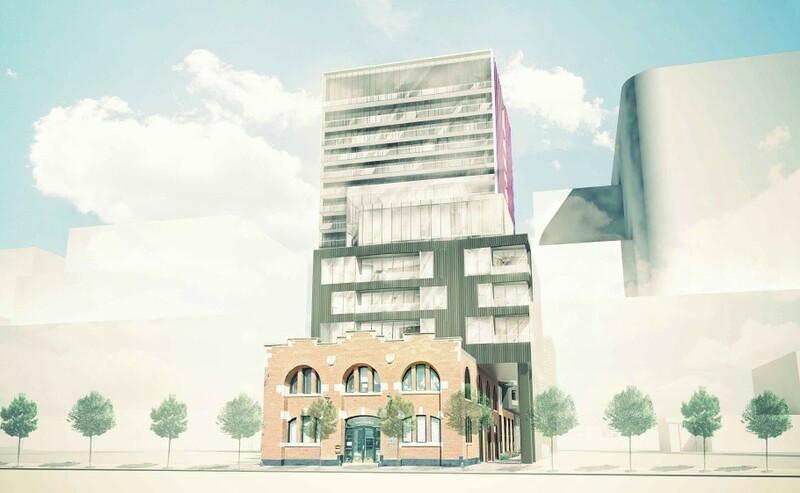 This report recommends that City Council include the property at 93-95 Berkeley Street on the City of Toronto Inventory of Heritage Properties for its cultural heritage value. 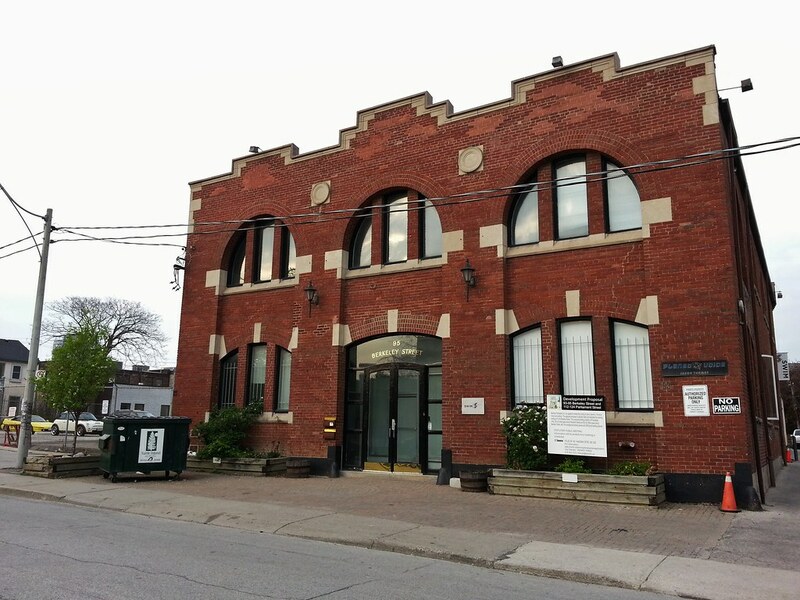 The site is located on the east side of Berkeley Street north of Adelaide Street East in the St Lawrence neighbourhood and contains a commercial building historically known as the Christie, Brown & Co. Stables (1906). 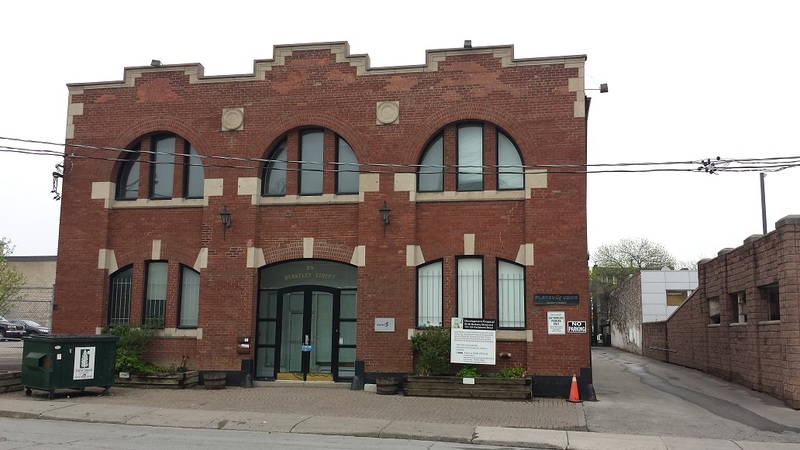 Heritage staff have been notified by other City Planning Division staff that preliminary discussions regarding potential redevelopment of the site have taken place for the property at 93-95 Berkeley Street. This listing report has been prepared to ensure that the historic structure will be conserved during any redevelopment of the property. Gorgeous building. Worth being preserved! 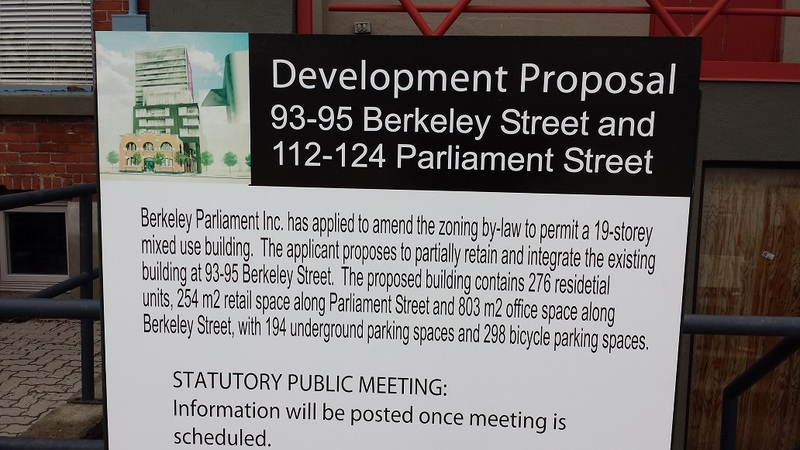 To rezone the lands at 93-95 Berkeley St & 112,114,116,118,120,122,124 Parliament St to allow for the construction of a 19 storey mixed use building containing 276 dwelling units, retail on the ground floor, and offices on the ground floor second floor. 194 parking spaces will be provided below grade. 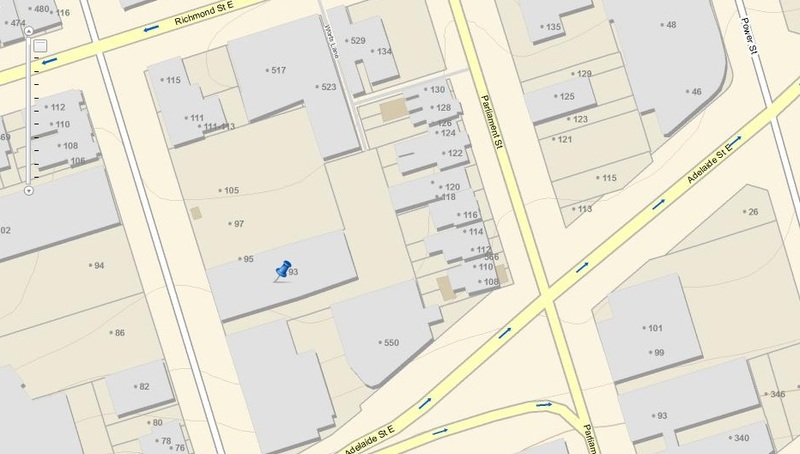 There are also 4 Victorian homes on Parliament that would disappear. These properties actually form an island of "nice" buildings surrounded by lower quality or vacant land. Given that Cabbagetown up the road benefits from having an intact historical fabric, razing these structures could harm this area more than help it. Looks like RAW Design. RE Millward & Associates are the planners here. 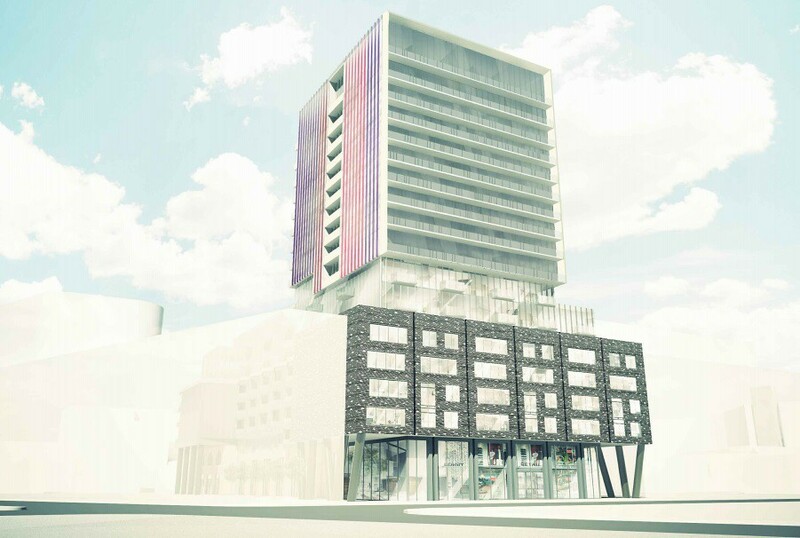 Article by Chris Bateman: Can these condos jumpstart Parliament and Adelaide? East United? What's up with that name? 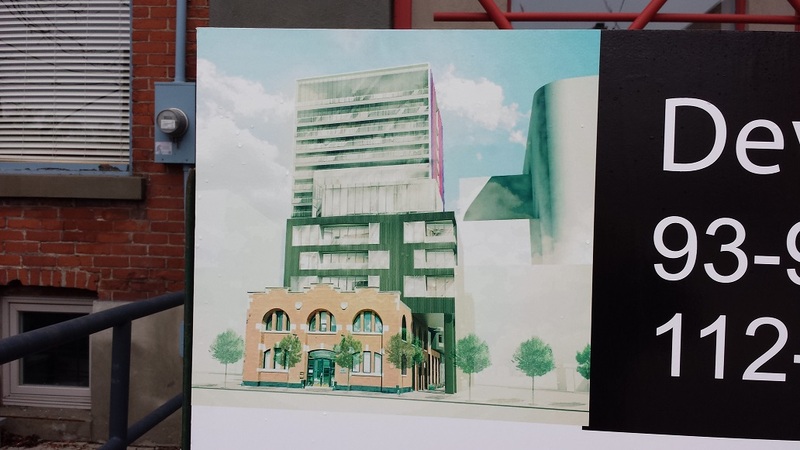 Sounds like they've stolen the name of a local church -- except East United's on Danforth, no? The double decker parking garage next door needs to be destroyed in a satisfying fire & brimstone manner for the offence of hideousness. A condo for fans of footie?